If you liked the album and have downloaded the songs, please consider donation via PayPal. Thanks. 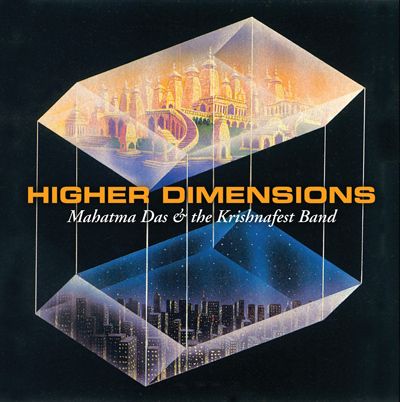 Seven original westernized maha upbeat maha mantra melodies performed live by the Krishnafest Band and chanted by Mahatma Das and Titiksava Karunika. “I joined Krsnafest in 1992 when daily devotees were chanting on the mall in Washington, DC. Each day hundreds and hundreds of high school kids would chant and dance with the devotees. How did this happen? We were doing upbeat kirtan with keyboards, guitars and drums and this naturally attracted them. Plus, the Krsnafest brahmacaris were expert at encouraging people to chant and dance. The kids loved the kirtans and would often say it was the most amazing thing they had ever done. Naturally they would ask if we had recordings of what we were playing. So we took a day and made a live recording of the main kirtans we were playing at the mall that season. Titiksava Karunika spent a few weeks with Krsnafest that year so we were fortunate to have him sing and play guitar on this recording. He also helped with the recording along with Tapasya. The production was then given to Bhakta Mike (who also leads one kirtana) who took care of the mastering and the production of the cassettes. Gunagrahi Maharaja is on drums, Dhirodatta on bass, Dwija Mani and Titkasava Karunika on guitar, Bhakta Mike, Sankarsana, and myself play keyboards. All these devotees chant as well as Badarayana and Sacinandana.